You’ve made it from beverage idea to approved commercial formula, and you’re ready to get out there and start selling. But what’s the best way to move forward as you prepare for a full-scale launch and brand growth? There are a lot of factors to consider including your go-to-market strategy, timeline, budget, investors, and appetite for risk. While some beverage entrepreneurs start with a minimum viable product (MVP) (a product with just enough features to get feedback for further development) and others leap into full-scale production, there is a middle ground. Pilot runs, also known as small-scale runs, or small-scale production, allow new companies, or established companies with new products, to produce a small-quantity on licensed, industrial, commercial-grade equipment for sampling, market testing, and product validation. While each option has its benefits and drawbacks, there are a handful of reasons to take a look at investing in a pilot run before your next launch. Although the cost per case for pilot manufacturing is typically more than it would be for a full-scale production run, the overall investment is much less and also less risky. A typical full-scale production run is about 10,000 cases and all-in-costs start at about $200,000. In contrast, you can do a pilot run of 50-60 cases for approximately $10,000. Stepping into things with a smaller investment for the same quality product at a more manageable quantity is a smart move, especially for companies who don’t have prior beverage experience or who are still securing sales. It is helpful to think of this investment as an opportunity to button up the details and iron out any snags that may arise before investing a much larger sum in a production run. A pilot run builds in a cushion to absorb some of the risks that inevitably come along with executing the first run of your beverage. It is extremely rare for the first run of any beverage to go perfectly with no unforeseen changes. Sometimes it’s just a small tweak or adjustment, but other times a major change needs to be made, and you’re lucky if it’s something that doesn’t require you to scrap or re-pack an entire run. We’ve seen everything from incorrect UPC numbers to unexpected liquid changes due to pasteurization. Finding those things out during a pilot run is a lot less painful than having to stop production or recall a large run of thousands of cases of product. Entrepreneurs will sometimes take bench samples from their flavor house, along with a mockup of their packaging, to their sales and investor meetings. While this low-cost option can work, this approach has some definite downsides when it comes to representing your product and your brand. First of all, bench samples will not match the properties and quality of products produced on professional equipment. With many flavor houses simulating pasteurization and not always carbonating to production levels, there are bound to be differences between your samples and your commercially-produced product. While you can explain the potential and desired output, it is far more impactful to show a final, salable product in the actual packaging. The polished look and accompanying testing and production data that go along with a well-executed pilot run, leave a positive impression of your business with investors, distributors, and retailers. 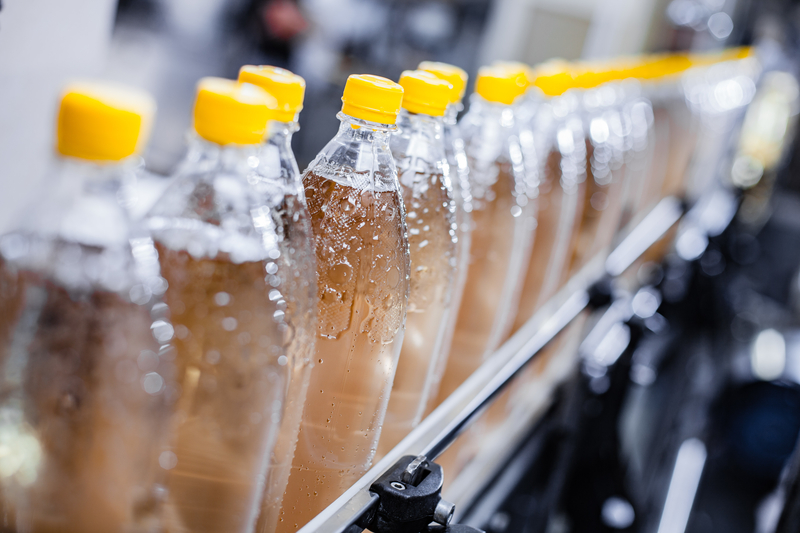 There is a lot to know about the world of beverage production processes, practices, and terminology. You can study and ask questions, but there is no better place to learn than during an actual run. A pilot run lets you see things closer at a slower pace and offers more opportunities to ask questions. Once you turn things over to a co-packer for full-scale production things move fast, time is money, and the goal is to maximize efficiency. Everything you learn during your pilot run you can use to make your next levels of production smoother and more successful. Getting a co-packer to take on your project takes more work and knowledge than most people realize. When you can approach a co-packer with the details for how you plan to scale up your production along with data and information from a pilot run, they will be much more likely to know if they are a good fit for what you’re looking for. Understanding how you approached your pilot run helps the co-packer plan out capacity and makes them more likely to take on your project. A bonus is that doing a pilot run of your beverage can be a lot of fun. You get the opportunity to take a hands-on role in bringing the first salable prototype of your beverage to life. There is no better way to show proof of concept and build your confidence and the support of your investors than to invest in a pilot run. A good pilot facility will add expertise and value and will become another tool you can use to launch the most successful beverage possible.